Last year, Chinese carmaker Geely upped its stake in Lotus to a majority, recently investing more money into the British brand. Now, talking with Automotive News, CEO Jean-Marc Gales says Geely has approved three new models: two sports cars and the third an SUV. The sports cars will be announced later this year, and they will reach production in 2020. 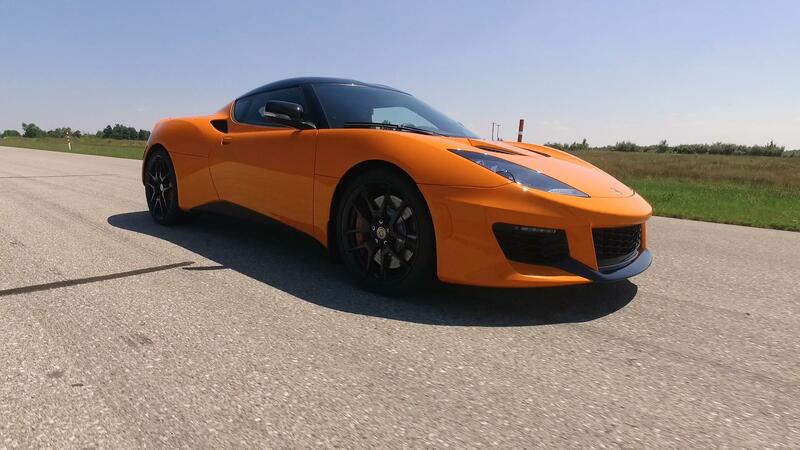 The last time a properly new Lotus debuted was in 2009 with the Evora, so a decade later new products are certainly due. But what about that SUV? Autocar says that since Geely also owns Volvo, that makes it possible for Lotus to base the SUV onto the Volvo SPA platform, which is also used in the XC60 and XC90. The choice of platform would mean the SUV would have to be a four-cylinder model, but that's nothing new to Lotus. It could even use Volvo's "Twin Engine" hybrid setup, which would mean a power output of over 400 horsepower as stock, and that with Lotus' eagerness for lightness could be a potent combination. Autocar quotes Gales as saying, "It will go round bends like nothing else in its segment." The target weight for the approximately Porsche Macan-sized SUV is under 2,000 kilos (4,400 pounds), and the Macan weighs 4244 pounds in 400-hp Turbo guise. The Lotus SUV is projected to hit the market in "about four years," and it's very likely to be built in China instead of Britain, as the Chinese market is very enticing — especially for this class of vehicle. The vehicles will still be designed at Lotus' Hethel HQ.